Calling All Seniors: Plan A Fall Getaway to Wilmington, N.C. According to Forbes Magazine, Raleigh has the second fastest-growing senior population in the country. And they are not sedentary by any means: adults over the age of 50 are taking an average of four to five trips per year. For a quick getaway from the Raleigh area, seniors should set their sights for Wilmington, North Carolina’s most accessible coastal destination where they can hit up three nearby island beaches, explore the historic river district, relax on “America’s Best Riverfront” according to USA TODAY and much more…all within a two-hour drive. Fall is one of the best times to head to Wilmington, thanks to mild temperatures, fewer crowds and off-season lodging rates. Take in all Wilmington has to offer during an afternoon or evening curated tour. 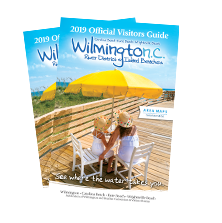 Varying in activity level and interests, seniors will love the different ways to take in the sights whether it be on a Wilmington Hollywood tour, a horse-drawn carriage ride through Historic Downtown, or a waterfront Segway tour. Spend an entire night on what USA TODAY named “America’s Best Riverfront.” Begin the evening perusing one of the Riverwalk&apos;s unique shops, then head to a waterfront restaurant for fresh, local seafood. End the night strolling with a nightcap while enjoying scenic views of the Cape Fear River as the sun sets! Get moving by taking a morning stroll on one of the many fitness and hiking trails in Wilmington N.C.’s nearby beaches including Carolina Beach State Park in Carolina Beach, Fort Fisher State Recreation Area in Kure Beach, or The Loop in Wrightsville Beach. All three beaches are within an easy 30-minute drive of Wilmington. Looking for a round of golf instead? Take a swing at one of Wilmington’s five public courses including the newly renovated Wilmington Municipal Golf Course. A trip to Wilmington would be incomplete without a visit to the Battleship NORTH CAROLINA, consistently ranked as one of the most popular attractions in the state. Considered one of the world’s greatest sea weapons, this ship is filled with adventure whether it be an in-depth tour of the hull of the ship or walking along the deck looking out onto the water. Artistic gems are around every corner in Wilmington. Head downtown to the new Wilson Center for its fall event line-up including the Sounds of the ‘70s concert and performances of 42nd Street and Annie, or visit Thalian Hall, one of the oldest and most beautiful theatres in America. Afterwards, walk just a couple blocks to the Castle Street Arts & Antique District for the Fall Festival at the end of October. Uncover rare and unique finds in boutiques filled with art, antiques as well as foodie finds and fine wine. Make sure to stop at Fifth & Castle Design Shop to browse furniture and fabric designs from HGTV-TV’s own Meg Caswell, host of Meg’s Great Rooms. 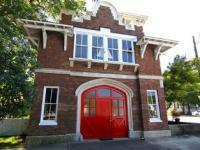 Wilmington is lucky enough to be home to numerous museums spanning all sorts of topics. For history lovers, explore the rich history, science, and cultures of the Lower Cape Fear region at the Cape Fear Museum of History and Science. Art lovers can spend an afternoon at Cameron Art Museum looking at one of their rotating exhibits during a guided tour, which are always free for seniors.